The chief cause of World War II can be attributed to the deficiency of spine and resolve among the democracies during the 1930s. From 1933 onward, the dictator of Germany, Adolf Hitler, pursued a policy of rearmament, shameless revenge and naked aggression. He sought revenge for Germany’s defeat in World War I, as well as for the punitive measures enacted by the Treaty of Versailles. He committed aggression by occupying the Rhineland, annexing Austria, and reducing Czechoslovakia to a vassal state of the Third Reich. Time and again the democracies quaked and cowered. Their only response was appeasement. They thereby effectively surrendered to Hitler. All of the Nazi victories were bloodless. Neville Chamberlain was Prime Minister of Britain in the pivotal year of 1938. Chamberlain will forever remain infamous as the appeaser who sold out Czechoslovakia at the Munich Conference in September of that year. He believed that by sacrificing the territorial integrity of Czechoslovakia, he could permanently mollify Hitler and thus preserve peace in Europe. The precise opposite proved to be the case. Hitler’s appetite for conquest only grew, and soon resulted in Germany’s invasion of Poland . . . and the outbreak of World War II. Throughout the 1930s the chief British voice warning against the menace of Nazi Germany was that of Winston Churchill. For much of that decade, Churchill stood nearly alone as he documented Germany’s growing military might, identified the peril of Hitler’s predations, and insisted on the need for Britain to massively rearm. His prophecies and counsel were consistently ignored. Churchill was mocked and derided. He became an outcast of his own party. It was only in May of 1940, as German armies were sweeping across France, that Chamberlain was forced to resign. The king appointed Churchill as Prime Minister. It was at this precise point in his long career that Churchill made his greatest contribution to the preservation of freedom and the history of mankind. Although Britain now stood on its own against the seemingly invincible might of Nazi Germany, Churchill resisted all pressure to negotiate with Hitler. As a consequence, Britain kept alight the flame of resistance until events (chief among them Hitler’s decision to invade Russia, and America’s entry after Pearl Harbor) helped turn the tide. Britain could not have won the war alone, but what Churchill did in 1940 was ensure that liberal civilization would not lose the war to Nazi barbarism. The date is September 28, 1938. It is over a month since Neville Chamberlain’s death in a plane crash, and King George’s appointment of Winston Churchill to Downing Street. The Munich Conference has begun. The following exchange, narrated by Churchill’s interpreter, takes place during the prime minister’s first meeting with Hitler. Churchill has just asserted his confidence that the results of the negotiation will fulfill the greatest hope of the German people, namely that their Fuhrer will take a leading role in preserving world peace. “A sadder and greater tragedy came after Herr Chamberlain’s death,” Hitler added. “He was not yet cold in his grave when his successor shattered his legacy.” The German leader inclined his head slightly to Schmidt. We heard the interpreter whisper Ja, mein Führer to confirm my translation had been accurate. Mr. Churchill smiled. The briefing notes had warned of Hitler’s blunt disrespect. The PM was prepared for churlish intolerance and erratic turns. His smile said that now he had seen it, he believed it. My counterpart across the table hesitated. Before Schmidt spoke he glanced at me and was given a level look back. His translation kept faith with Mr. Churchill’s affront. The No more! issued like a whiplash. A change came into the room, an electricity not unlike the power in a theatre when an actor enthralls. Here was the Hitler we knew from newsreels addressing stormtroopers under torchlight. In that moment I grasped the root of his appeal … a talent to conjure pure ardour; an ability to breathe flame so as to ignite it in those with no ardour of their own. We watched the German leader pace back and forth, his arms crossing and uncrossing, his voice by turns low, barely audible, then pitched suddenly shrill as if sprung from a trap. Occasionally he beat the fist of his right hand into the palm of his left. We were pupils, Mr. Churchill and I. This was a classroom and Hitler the instructor. Nothing in the instructor’s lecture, however, fascinated so much as his self-absorption. The tremendous arrogance of the man: I was seeing it, feeling it, the colossal conceit, the naked narcissism. Do not misunderstand my mention of the theatre. Hitler is not an actor. The superior air he wears is not only conscious and deliberate, he takes as a given that he is superior. The briefing files had warned, repeatedly and vividly, of Hitler’s high-strung nature, his tendency to erupt in rage, but that is not what we were seeing. This was not an eruption, nor was it a rage. There was wrath in him certainly, a steady pulse of wrath, but what we were witnessing was more like a controlled tantrum, an adult conniption. He might have been a man inhabiting an hallucination. Perhaps that’s why his speech followed no order, meandered into digressions, became a rambling harangue replete with Nazi boilerplate about sinister influences in London, Moscow, New York. He was oblivious to his listeners; they did not seem to matter. What mattered more than his listeners and more even than what he was saying was that he was saying anything at all, because it was him saying it. He, the fuhrer of all Germans, exposing lies, correcting history, addressing posterity, erecting Truth. If his screed had a theme it was that the world was hostile to his government because the world had always demonised German exceptionalism. The anti-German illness in the world’s spirit had only been stoked by the signers at Versailles. The criminal tumour of Czechoslovakia and the oppression of its German minority were conspicuous symptoms of this antique, ever-renewing sickness. “Nicht mehr! Today I speak for the Sudetendeutsche. They are no longer weak and defenceless, precisely because I speak for them. Do you think I will abandon to serfdom members of the German nation, any members anywhere of the German nation? Our Sudeten brothers and sisters must be liberated from the yoke of Czechoslovakia. I, Adolf Hitler, will restore them to their proper home.” With that the leader of Germany resumed his chair. I dared not lift my shirtsleeve to peek at my wristwatch, but it felt like twenty minutes or more since Hitler’s pacing and arm-crossing began. He now gazed across the table at Mr. Churchill, though I sensed his eyes were still directed inward. Throughout the diatribe Mr. Churchill had sat with his elbows propped on the table, fists supporting his chin. Crinkles around his eyes occasionally suggested tremors of amusement. I also heard a few intakes of breath articulating revulsion. The Prime Minister took his turn in a slow, measured voice. With different leadership in place in the democracies, could World War II have been prevented? 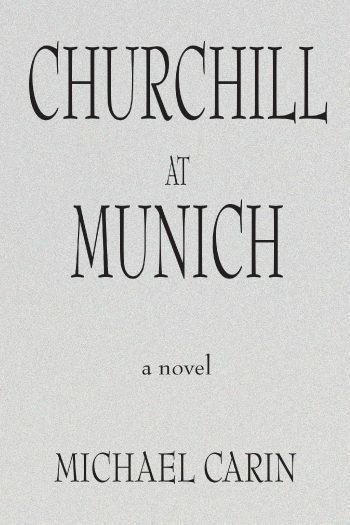 To answer in the emphatic positive we need only imagine, together with Michael Carin’s novel Churchill At Munich, an earlier advent to Downing Street of a certain lion-hearted man. We need only envision at the helm of British power an individual of diverse and remarkable talents whose courage and oratory will endure through the ages. If Winston Churchill had become Prime Minister before September 1938, and if he had attended the Munich Conference in place of Neville Chamberlain, all subsequent history would surely have taken a different path. In Michael Carin’s persuasive re-ordering of history, Churchill does indeed become Prime Minister before the pivotal Conference of September 1938. He then attends the Conference to save Czechoslovakia rather than betray it; and to preserve the peace rather than render war inevitable. The means by which he routs Hitler at the negotiating table will not be revealed here (you will have to read the novel to discover that! ), but the book’s account of what follows Hitler’s humiliation may be easily presumed. Winston Churchill, in addition to the many other traits he audaciously incarnated, happened to be an imperialist. He believed passionately in Britain’s role as a source and guardian of civilized values. Accordingly, during his sixty years in politics, as he devised and applied policies in a host of powerful offices, Churchill proved himself an unapologetic advocate of the British Empire. After the Conference and his coining of the phrase “Triumph in our Time”, Churchill employed all his geopolitical genius in the interest of Britain’s global dominance. He paid no heed to his island nation’s disadvantages of size, population and resources in comparison to such giants as the United States and the Soviet Union. He blithely moved forward in his determination to assert British exceptionalism and its role as icon of freedom and democracy. He believed it was necessary to perpetuate Britain as the world’s leading power. 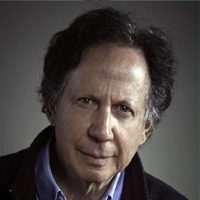 Michael Carin is a Montreal journalist and magazine editor. His previous books include the novels “Five Hundred Keys”, “The Neutron Picasso”, and “The Anti-Trump”. His non-fiction response to the Holocaust, “The Future Jew”, won him wide recognition as a challenging secular humanist. All of Mr. Carin’s books have identified him as a questing, resourceful and always supremely readable writer. Trained as a political theorist at McGill University, he later did graduate work in English literature and taught English composition at McGill University and Concordia University. For several years he wrote book reviews and feature articles for The Montreal Gazette. He served as Editor-in-Chief of Montreal Business Magazine for twelve years. 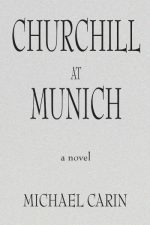 Mr. Carin’s academic background and lifelong fascination with the principal cause of World War II have created a compelling work of speculative fiction in “Churchill At Munich”. A chapter of “The Future Jew” can be read at www.thefuturejew.com. Michael Carin can be reached at michaelcarin@hotmail.com.